Crn Lansdowne and O’Hara Streets. Contact Junita Hayes on 035463 2534 for details of services. St Michael’s Anglican Church is among the oldest buildings in Talbot. The bluestone Gothic Revival style church is now known to have been designed by Nathaniel Billing, a pupil of Sir Gilbert Scott, a leading English Gothic Revival architect. 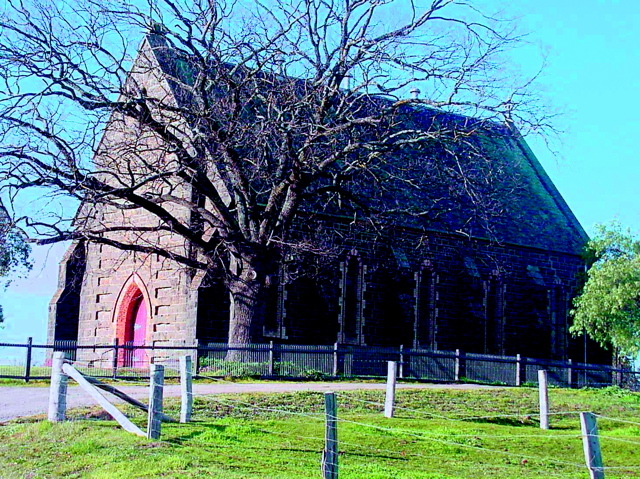 He was also the architect of the Anglican church in Maryborough. The foundation stone was laid on 16th August 1870 and opened the same year. 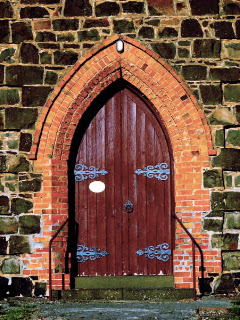 However, only the nave of the church was completed; the steeple intended for the front was never built and instead the doorway was finished in red brick. The church has undergone a programme of restoration, with the original pews – including ‘paupers’ pews – still intact. Thanks to local fund-raising efforts it recently acquired one of the earliest organs built in Victoria by the famous craftsman George Fincham, dating from 1868 and listed by the National Trust. Church services are held on the second Sunday every month – all are welcome. 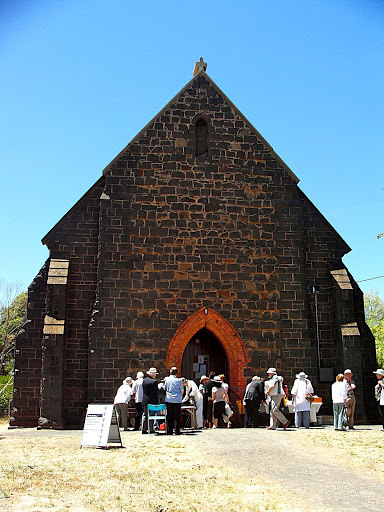 In addition, celebrations are held to mark important occasions, such as the annual Harvest festival, the bi-annual St Michael’s and All Angels Patronal Festival, and participation in the Organs of the Goldfields Festival.